by Joao on 26/04/2018 22:44. Last edit by Joao on 03/12/2018. 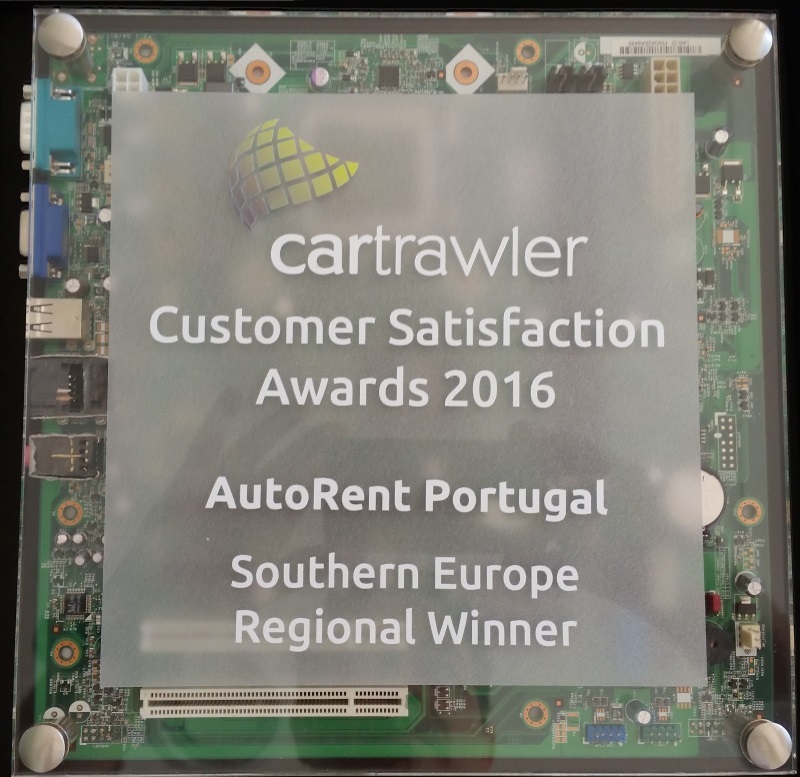 On November 3rd, in the Republic of Ireland, Auto Rent, Lda., a familiar SME operating in the Algarve for over 35 years, was awarded with the Cartrawler Customer Satisfaction Award 2016 for Southern Europe. The prize was awarded during the Winter Conference 2016 organized by Cartrawler, one of the world's largest Car Hire brokers, operating in over 190 countries, in 43.000 locations with 1.600 commercial partners. The award was delivered by Cartrawler's CEO Mike McGearty, distinguishing the company from among hundreds operating in Southern Europe on the quality of its service, recognized by its customers. António Valagão, one of the managing partners of the company, comments that “It's an honor and a great pleasure to see that the commitment, effort and dedication of Auto Rent's 18 employees is valued by our partners and customers. On behalf of Auto Rent, I thank you for this distinction, and particularly to our staff, for a job well done and the recognition that our efforts were recognized, and an encouragement to further improve our service”. by Joao on 14/11/2016 17:00. Last edit by Joao on 14/11/2016. by Antonio on 14/07/2014 16:30. Last edit by Mark on 06/08/2015.